Author Study Activities - Make Your Own Book! Books are an amazing thing that we get to introduce our students to, but how often do we get to introduce them to the wonderful authors who write these books? 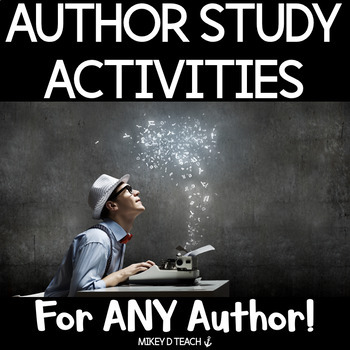 Look no further - this resource will make author studies a breeze! This resource was designed for my classroom students to have some direction when researching an author of their choice for an Author Study project we did. It worked so well that I am now passing it on to you!